Planning a trip to Samoa? Don't spend hours on the web looking for the cheap flights and hotels. Use Webjet to browse holiday package deals to Samoa and find the best one for your budget. Hassle-free Experience: Take the stress out of planning your next holiday. Simply choose one of Webjet's Samoa holiday package deals and let us handle the logistics. Save Time: Instead of searching for the best price by yourself, let an expert save you time by finding the best deal for your travel dates. World-class Service on a Budget: Choosing a packaged holiday deal means you can benefit from exclusive discounts for flights and hotels. No hidden costs: Your holiday package to Samoa will be paid in full before you leave. You don't have to worry about paying more for your flights or accommodation once you arrive. Located between Vaiala Beach and Apia's Harbour, the Palolo Deep Nature Marine Reserve is a must-visit for wildlife lovers. It's famous deep blue hole is home to a myriad of tropical fish and colourful coral. If you don't have your own snorkeling gear, you can rent some on site for USD 5. The Alofaaga Blowholes are one of Samoa's most impressive natural attraction. As a result of powerful waves pushing through lava tubes, hundreds of feet of water is propelled into the air. Nearby is the legendary Pa Sopaia Cave. It's believed to be the final meeting place for spirits before they enter the Spirit World. Destroyed by a volcanic eruption between 1905 and 1911, the ruins of the Saleaula village are a sobering reminder of the destructive power of mother nature. Entrance to the site is free, and you can get to the lava fields either by car, taxi or with one of the island's public buses. Head to the wetlands sanctuary if you want to spend an afternoon with endangered sea turtles. Due to years of excessive hunting, the turtles are kept here until adulthood before being released to increase their chances of survival. Visitors can swim or help to feed the turtles at the sanctuary. If you're looking for an adventure, plan a trip to the Papaseea Sliding Rocks. During the 100 step walk to the pools, you'll wander past lush foliage and waterfalls before you arrive at the natural slides. The highest one has a drop of 5 meters, but you'll only be able to use the slides if you're visiting during Samoa's wet season. You don't need to worry about the language barrier too much. 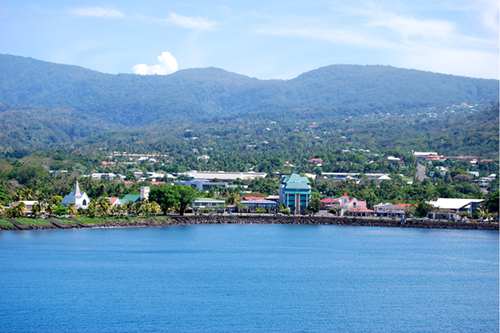 The official languages in Samoa are English and Samoan. Most of the locals on the island of Upolu will understand you, but you'll struggle to find English speakers on Savaii. Cash is king in Samoa. While some hotels in Apia accept credit card payments, for the most part, you'll need to pay with cash. There is no bargaining culture in Samoa. It's looked down upon to try to negotiate prices at the local markets. If you need to get online, find a hotspot or buy a prepaid card. But before you do, make sure the provider covers the area where you'll be based. Respect the local village customs. There are evening curfews called s'a that some villages follow. You'll need to stay indoors between 6:00 p.m. to 7:00 p.m.